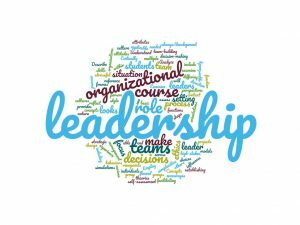 There are many factors that determine the success of an organizational leader, from personal attributes such as leadership style and emotional intelligence to communication, decision making, and conflict resolution skills. Then you have external factors, including organizational structure and the influence of corporate culture. Regardless of external influences, successful leaders have a strong moral code, are able to motivate a team, and can provide effective feedback when necessary. Brandeis GPS will be offering Organizational Leadership and Decision Making during our Fall 2 session, starting in October. The fully online, 10-week course will focus on leadership as a process by which one person influences the attitudes and behaviors of others. Topics covered include various leadership theories and models, differences across cultures, ethics and attributes, organizational change and development, and the role of the leader in establishing organizational culture and facilitating change. Students will deepen their understanding of these concepts through group projects and leadership simulations. At Brandeis GPS, you can take up to two courses before enrolling in one of our 12 online Master’s degree programs. If you’re interested in exploring the MS in Technology Management or would like to learn more about leadership and decision making as part of your own professional development, contact the GPS office for more information or to request a syllabus: 781-736-8787, gps@brandeis.edu, or submit your information.